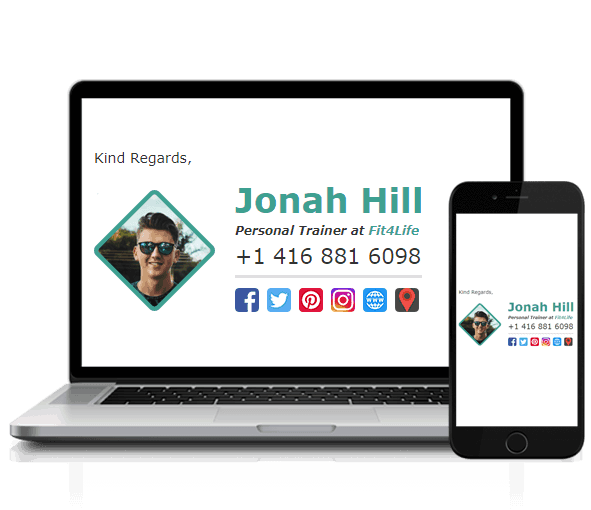 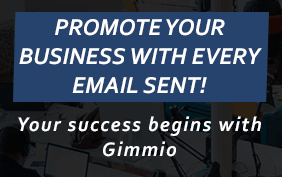 Over the years we’ve worked really hard to create some of the most unique email signature templates which you can download for free and use with Outlook, Apple Mail, Gmail and many more. 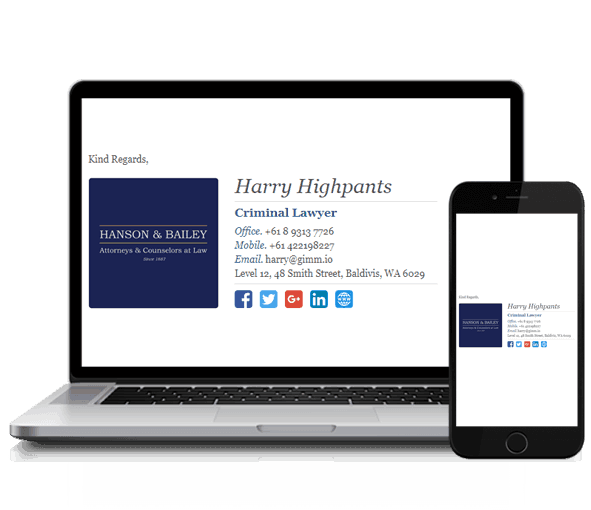 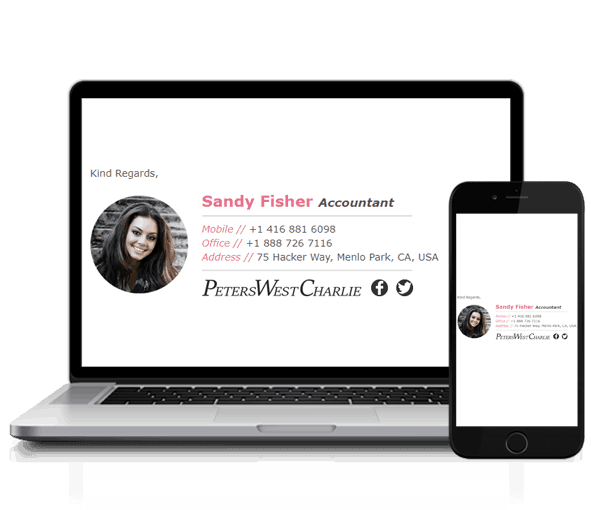 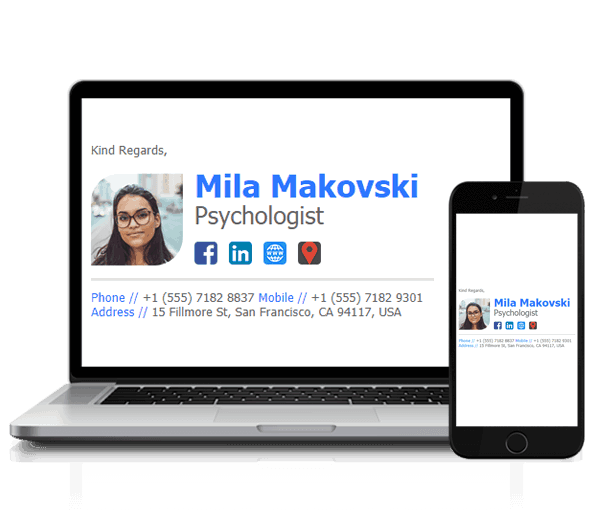 All downloads include everything you need to make a professional email signature using our free templates. 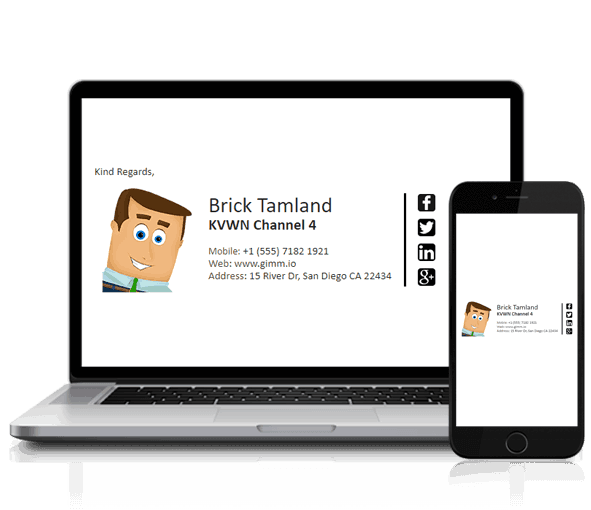 The Brick Tamland email signature template is one of our original and most popular picks! 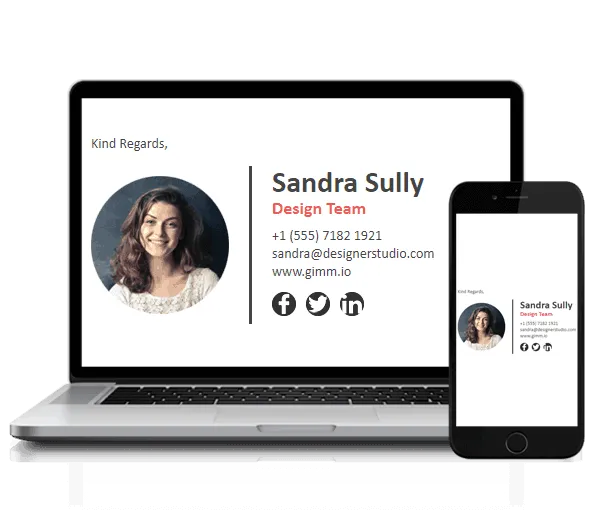 It features the social icons on the right-hand side with a separator in between the main content and the icons. 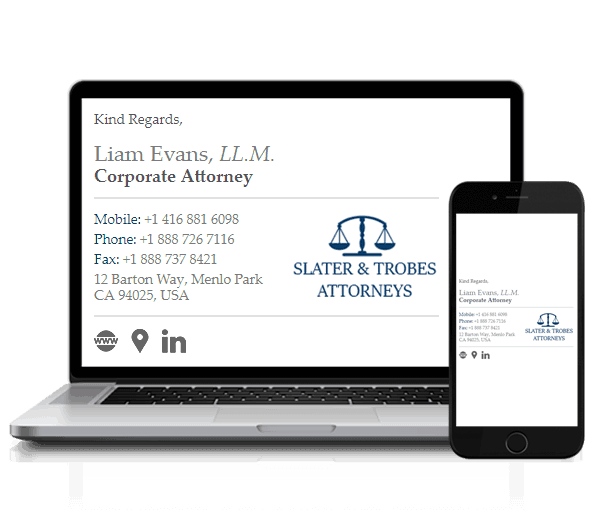 The name and company name fields have slightly bigger font sizes to draw attention. 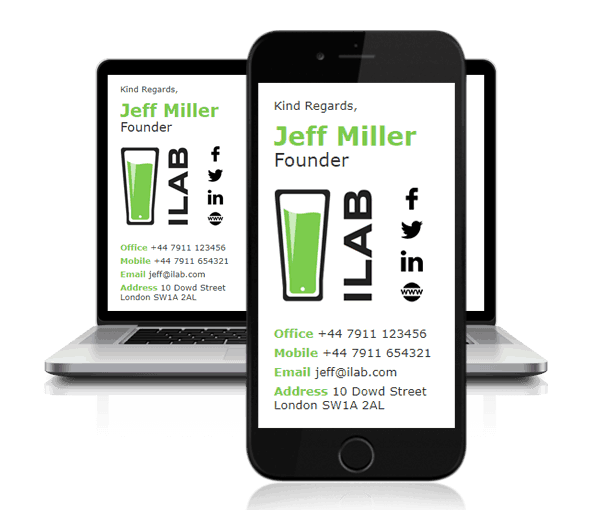 A great signature for any freelancer, which is also compatible with Outlook, Apple Mail, Gmail and many more email clients. 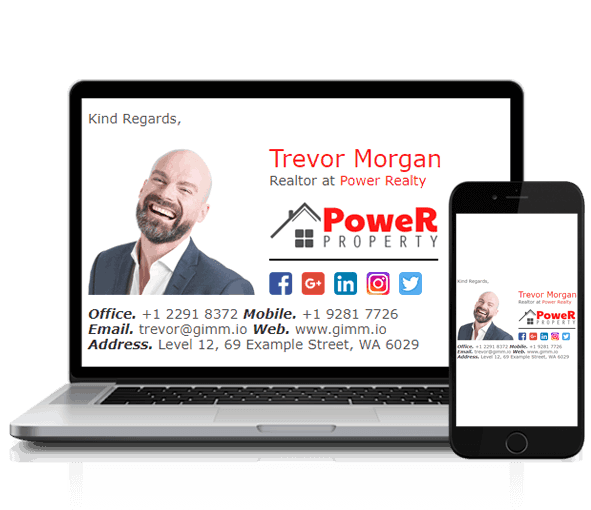 This is a simple, yet professional horizontal template which features standard colors with a 6px red separator between the logo and the main content. It’s a great template to use when combined with a red-themed logo. Ideal for engineers, builders, or anyone working in the construction industry. 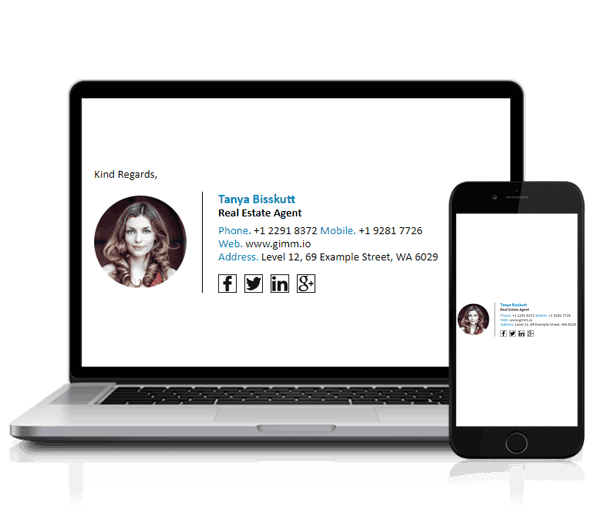 Another favorite among our fans is the Tanya Bisskutt email signature template. 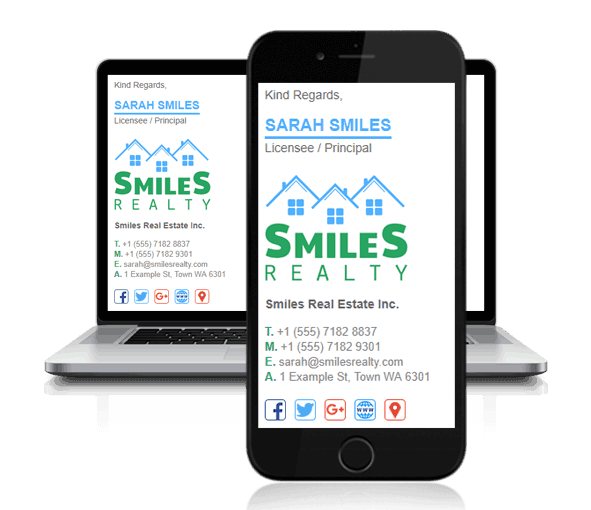 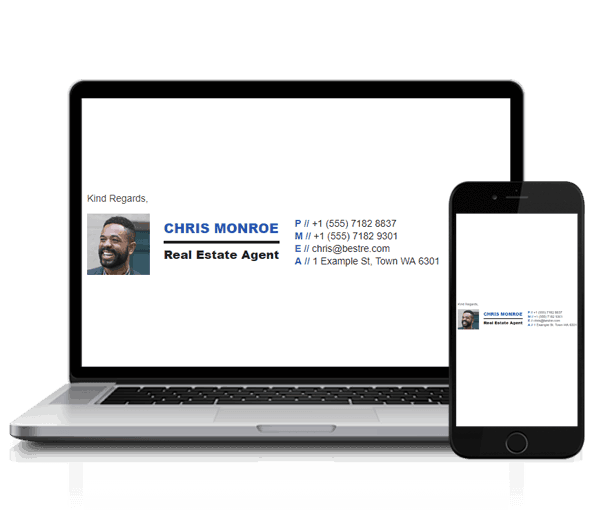 Featuring a gentle color combination and a thin separator to divide the profile picture and content, this signature works well for any real estate agent or realtor. 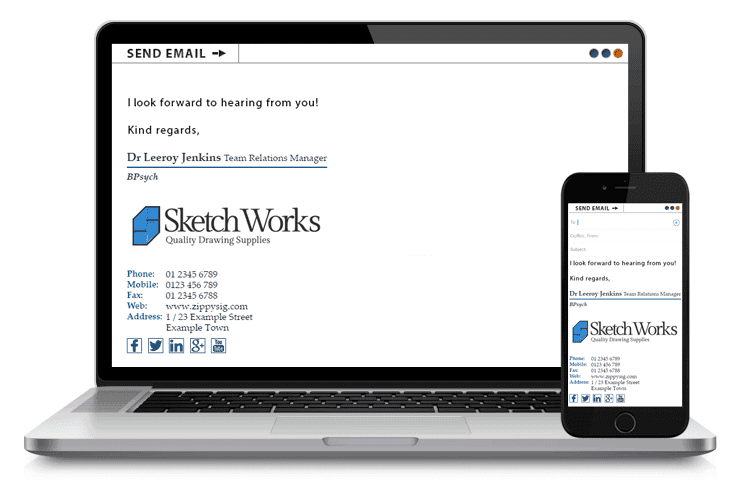 The Desanka layout was created to show off the power of our email signature generator. The layout is vertically aligned which means it works really well on mobiles. This is a perfect template for interior designers or anyone who wants a signature to reflect their design skills. 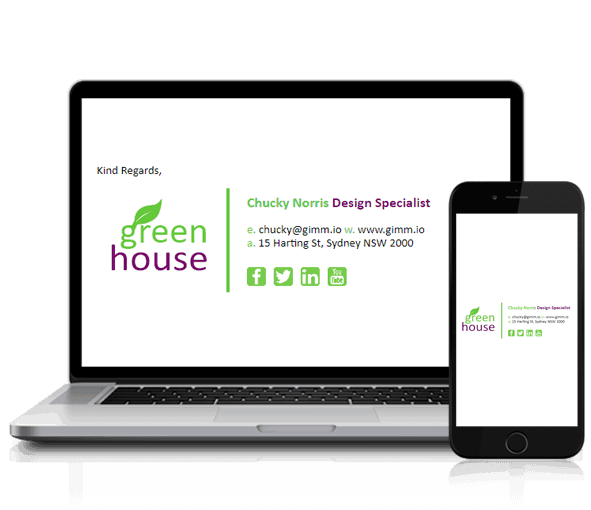 With a name like Chucky Norris, this horizontal template stands out with its complementary colors and matching logo. 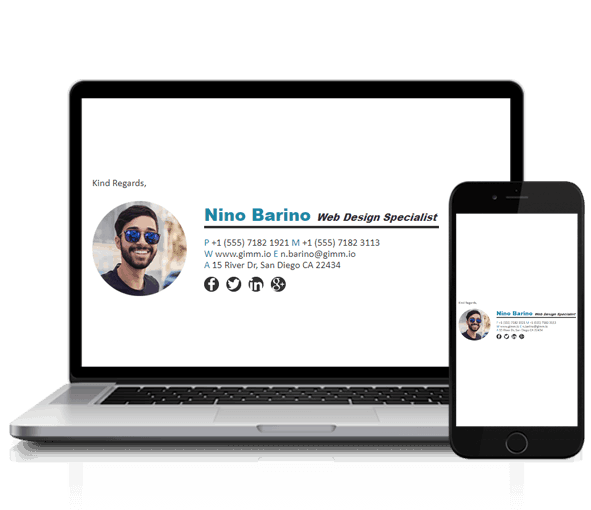 A punchy template which is easily styleable and works for any web designers or graphic designers. 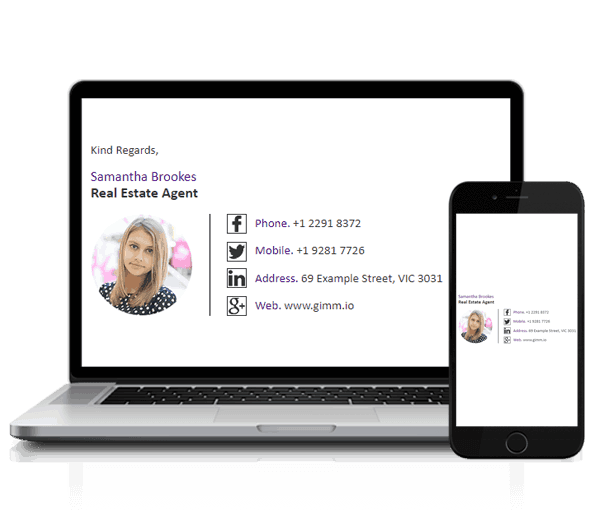 The Samantha template works well with a profile picture! 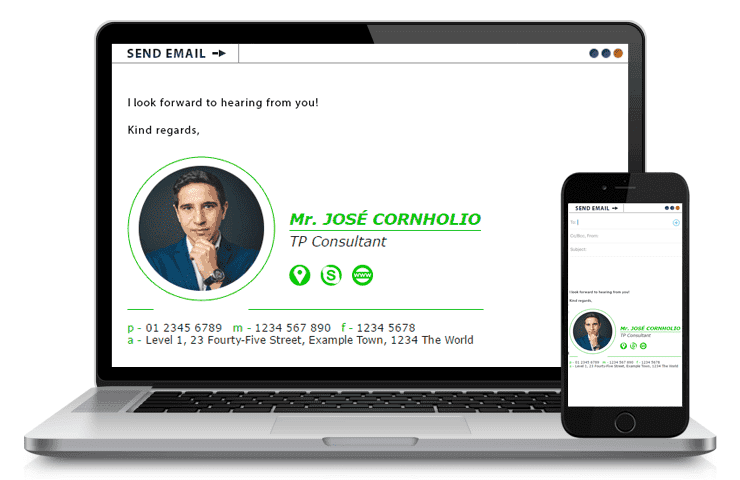 The social icons are placed between the image and the contact information, making the template ultra compact and clean looking. 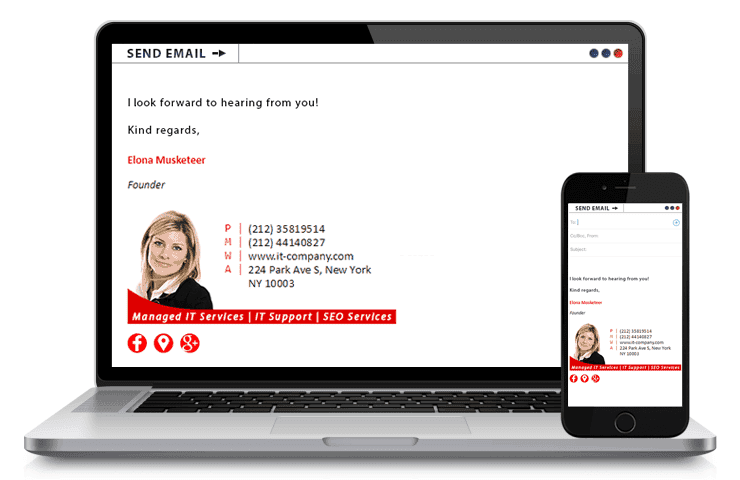 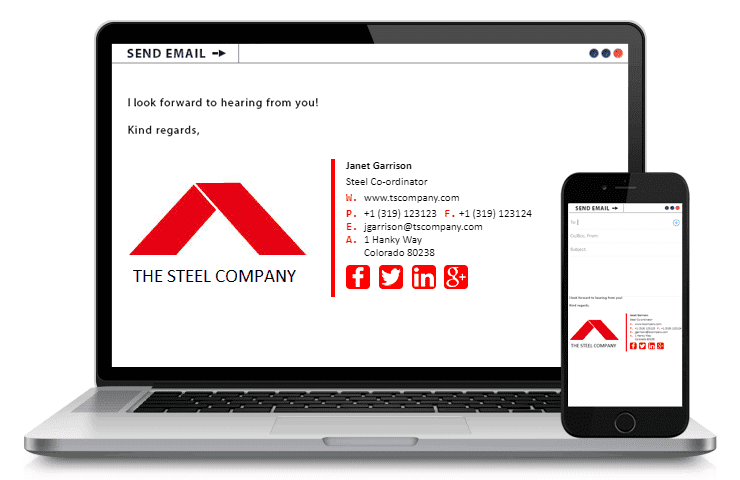 A stylish, yet effective vertical email signature template. 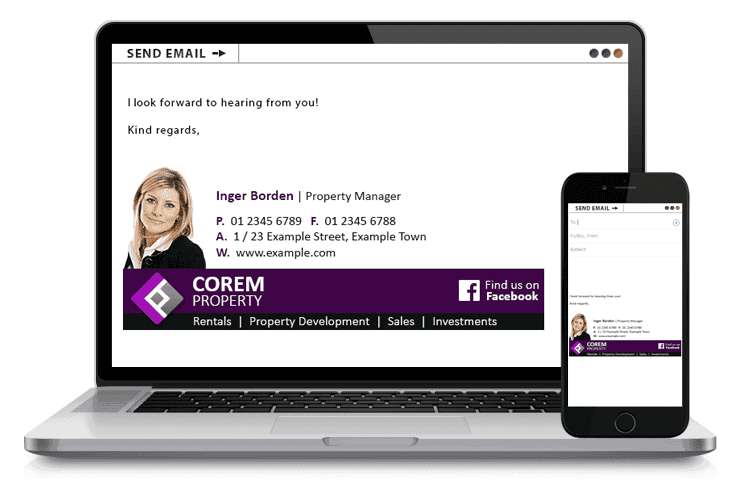 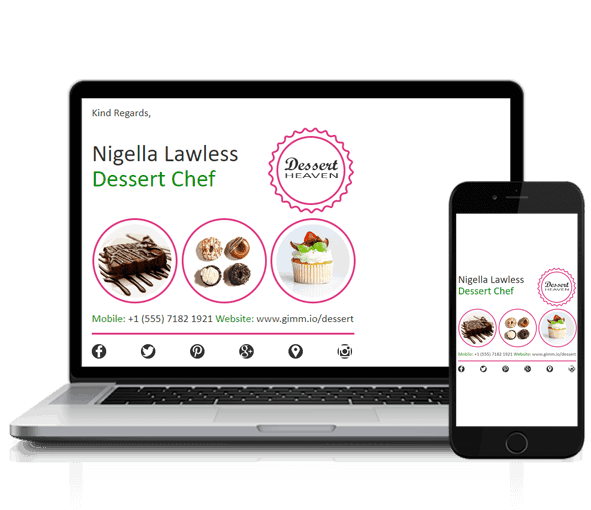 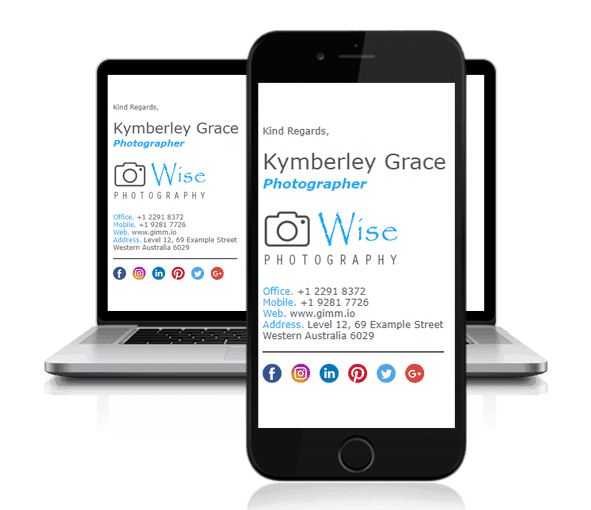 100% mobile optimized and compatible with Outlook, Apple Mail and many more. 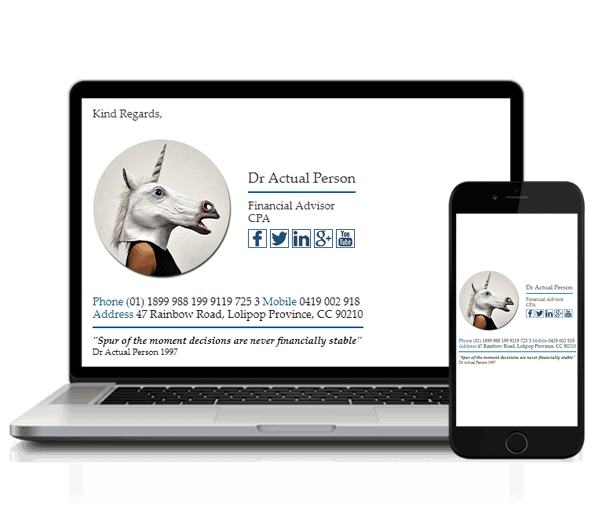 This layout suits a business who can afford to give off the “quirky” image, such as travel agents or tattoo artists. 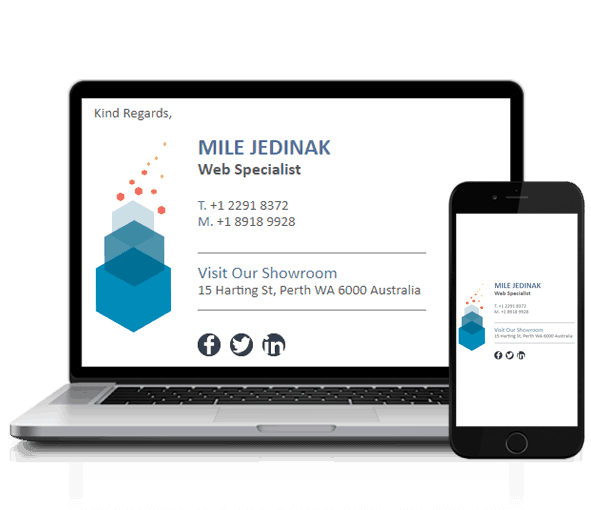 The Mile Jedinak template works best with a tall logo since the logo section spans the whole way down the left-hand side of the signature. 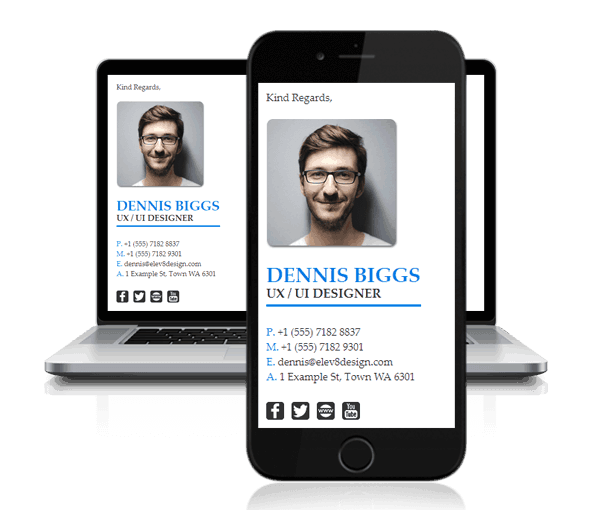 This template is what we call a “square” design, meaning its neither horizontal nor vertical. It works well for design agencies that have bigger logos. 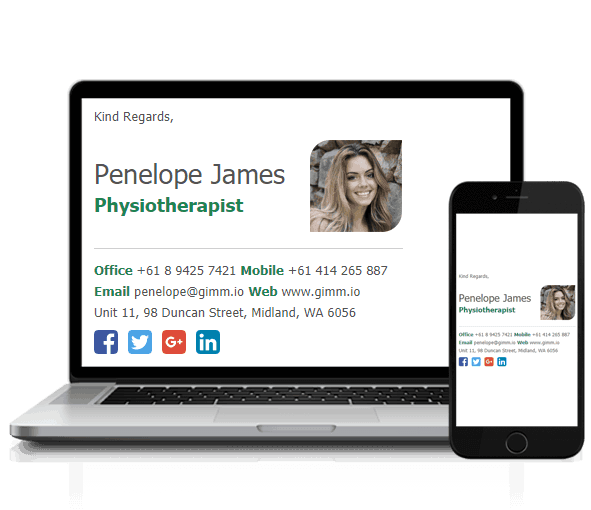 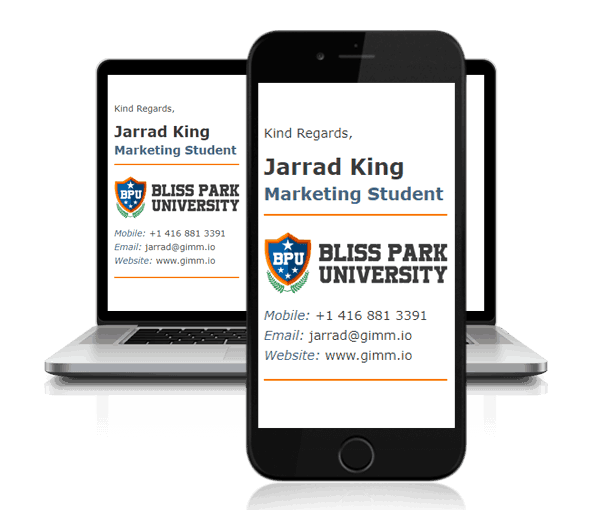 This is one of our simple email signature template designs. 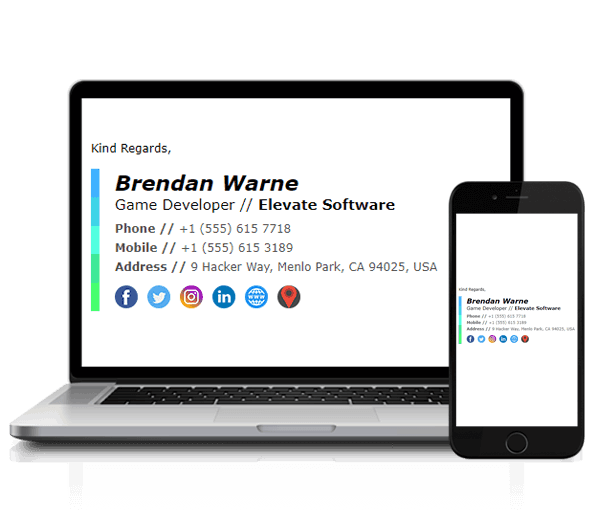 Perfect for when you just need a few details in your email signature and no social icons or other distractions. Ideal for small business owners or contractors who just want to keep their signature small, but stylish! 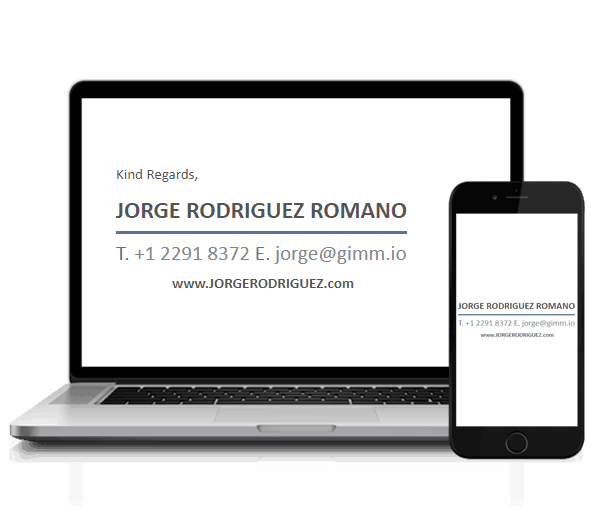 Perfect signature for image heavy industries such as restaurants or retail stores. With a nice blend of complementary colors, this template features 3 spaces for product images and 1 space on the right-hand side for your logo. 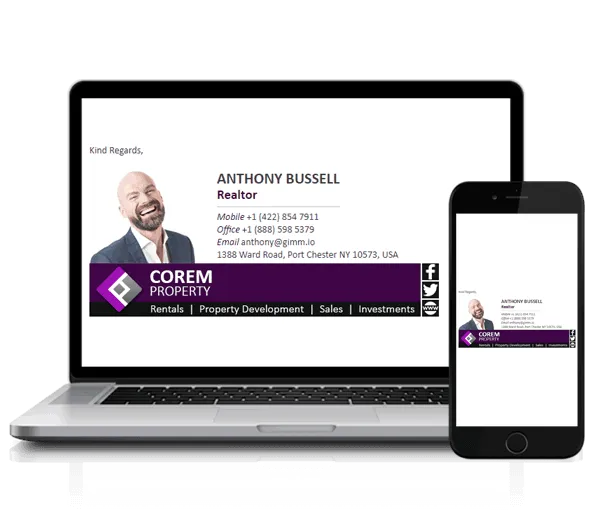 This signature is great when you just want to keep things simple. 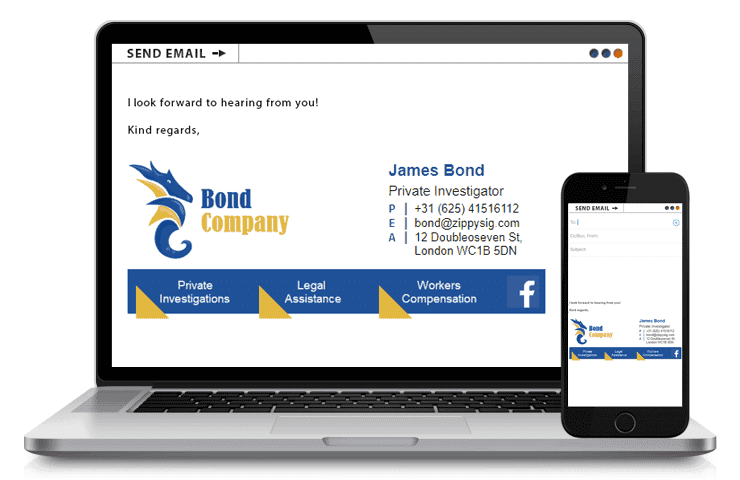 It doesn’t have the position or company name fields which makes it really sleek and simple looking. 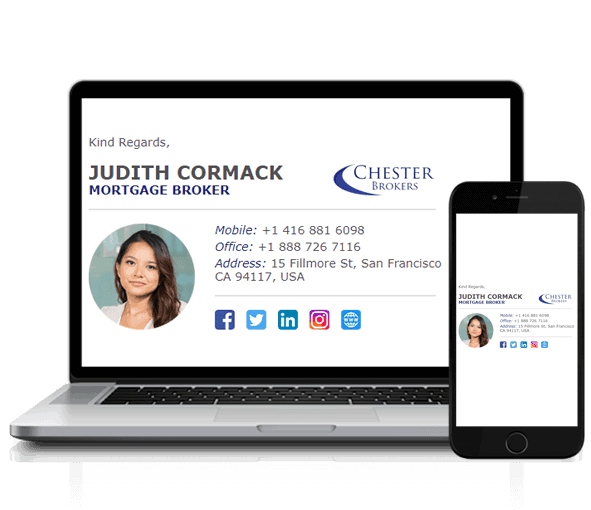 Best suited for people who don’t need to display much information in their signature, but still want their logo and basic information displayed prominently.